Sule Lamido University, SLU (formerly Jigawa State University) admission list for the 2018/2019 academic session is out and now available online. This is to inform all candidates that participated in Sule Lamido University admission screening exercise that the institution has released the 1st batch of admitted candidates for 2018/2019 academic session . This is to inform all the candidates that participated in the Sule Lamido University (formerly Jigawa State University), Kafin Hausa, Jigawa State, 2018/2019 academic session admission screening exercise that the authorities of the institution have released both the UTME and Direct Entry admission lists. 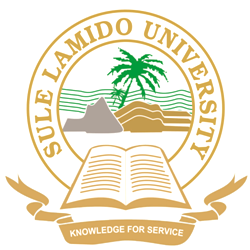 Sule Lamido University admission lists contain the names UTME and Direct Entry candidates offered provisional admission into the university various degree programmes. Sule Lamido University Admission List. The under-listed candidates have been offered Provisional Admission for Degree Programmes into Sule Lamido University (SLU) for the 2018/2019 Academic Session. SLU Direct Entry Admission List. ACCEPT or REJECT the admission offer on JAMB portal (How to Reject/Accept Your Admission on JAMB CAPS) and print the JAMB admission Letter. They are required to come with the admission letter for registration. Collection of Admission Letter and Registration are scheduled to commence on Monday, 22nd October, 2018 to Friday, 26th October, 2018 at Room A11, Faculty Building, Sule Lamido University Kafin Hausa. Candidates are also requested to come along with their Original Credentials and pay a the non-refundable Acceptance fee (SLU Acceptance Fee Amount & Payment Procedure). Congratulations to all the candidates that made it to Sule Lamido University (SLU) admission list for the 2018/2019 academic session. See also: Sule Lamido University Acceptance Fee Payment Procedure – 2018/2019.